USS Manchester Rests In Port of Los Angeles' Night Glow - USA Patriotism! 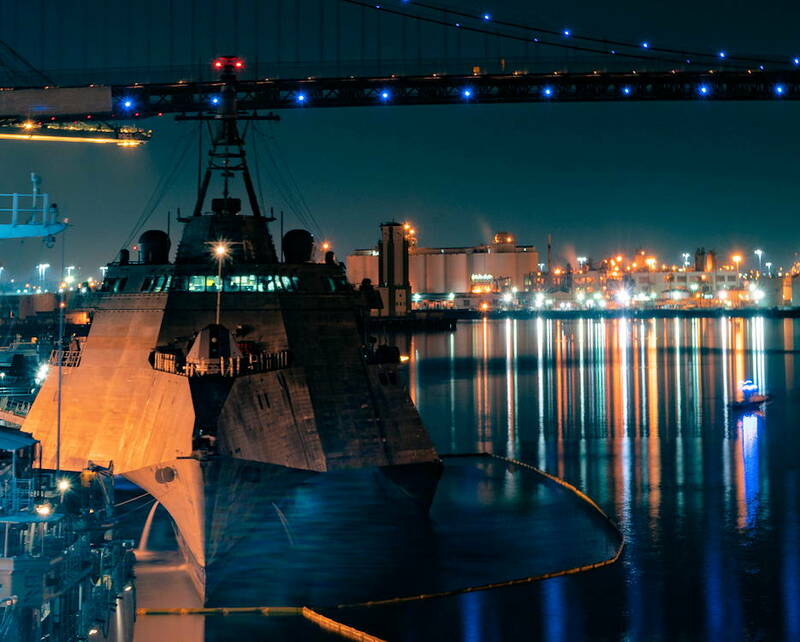 August 31, 2018 - The Independence-variant littoral combat ship USS Manchester (LCS 14) rests in the Port of Los Angeles' night glow during a scheduled visit for LA Fleet Week (LAFW). LAFW is an opportunity for the American public to meet their Navy, Marine Corps and Coast Guard teams and experience America’s sea services. During fleet week, service members participate in various community service events, showcase capabilities and equipment to the community, and enjoy the hospitality of Los Angeles and its surrounding areas.